Air conditioning issues have a tendency to sneak up on you. Even if you know what to look for, there’s a fairly good chance that you won’t be able to recognize issues in-time. If your goal is to keep your air conditioner in the best possible shape, you are going to want to start catching issues before they have the have the opportunity to cause symptoms. The best way to do that is with preventive maintenance. Preventive maintenance involves close examination of your system by a professional technician, which gives them the opportunity to find and resolve issues in the system before they get out of hand. Scheduling preventive maintenance on a regular maintenance can reduce the odds of a serious issue affecting your air conditioner by up to 90%, and can increase the energy efficiency of the system by up to 40%! If you want to get the most out of your system, this is the best way to do it. To be frank, the best time to schedule maintenance for your air conditioner is during the spring. This takes care of any preexisting problems before they have the chance to get worse due to the stress of summer. It also ensures that you’ll get the most mileage out of the efficiency spike you’ll get from the maintenance appointment. That’s not to say that you should skip maintenance entirely if you miss the spring window, though. Late maintenance is a whole lot better than no maintenance. You may not be able to get the full benefit of scheduling it, but you’ll still be a lot less likely to have issues with your systems for the rest of the season. 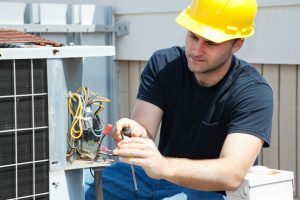 Considering how much some of the more serious air conditioning problems can end up costing to repair, it’s still worth doing it for that reason alone. So, if you haven’t scheduled preventive maintenance for your air conditioning system yet this year, now is the time to do it. You can rest assured that your system will be in top condition for the rest of the season, and you won’t need to worry about any last minute repair issues complicating your last few months of summer. Climate Masters provides a full range of air conditioning maintenance services in St. Johns, FL. If you need air conditioning maintenance services of any kind, contact us today to schedule an appointment with one of our professional technicians. We’ll make sure that your air conditioner finishes out the summer strong.